Recently Apple released OS X update, which accidentally broke the port last week in an OS X kernel extension update. 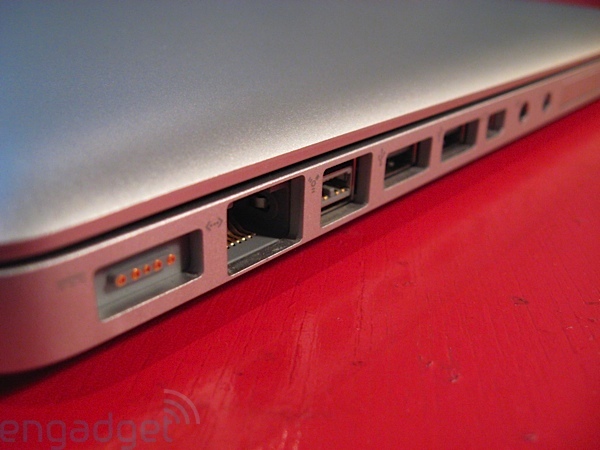 Users had randomly found their Macs no longer connecting to the Internet and their Ethernet port not working. Apple has now acknowledged the problem on its support pages. Apple has already fixed the Ethernet software problem for users going forward. If your Ethernet port has stopped working on your Mac, check System Information to find the version number of the Incompatible Kernel Extension Configuration file installed. If the number reads 3.28.1, you’ll need to update the configuration to get the Ethernet port working properly. It seems that Apple accidentally blacklisted its own networking kext, which is the cause of the issue. To check your Incompatible Kernel Extension Configuration version number, hold the Option key and click the Apple menu. Then open System Information. Find the Software section and select Installations. Look for rows labelled ‘Incompatible Kernel Extension Configuration Data’ and find the most recent version installed. If the number is 3.28.1, you need to update the profile. Quit Terminal and restart the Mac. After rebooting, the Ethernet port should work again. If you can’t connect to WiFi, the steps are a bit more involved. You’ll have to restart the Mac in Recovery mode and manually delete the offending files through Disk Utility and Terminal. Read the full steps on Apple’s Support Site and take care not to delete anything but the file in question. If you don’t mind losing data, it may be simpler to use Recovery Mode to just Reinstall OS X. This will fix the problem when OS X is started afresh.